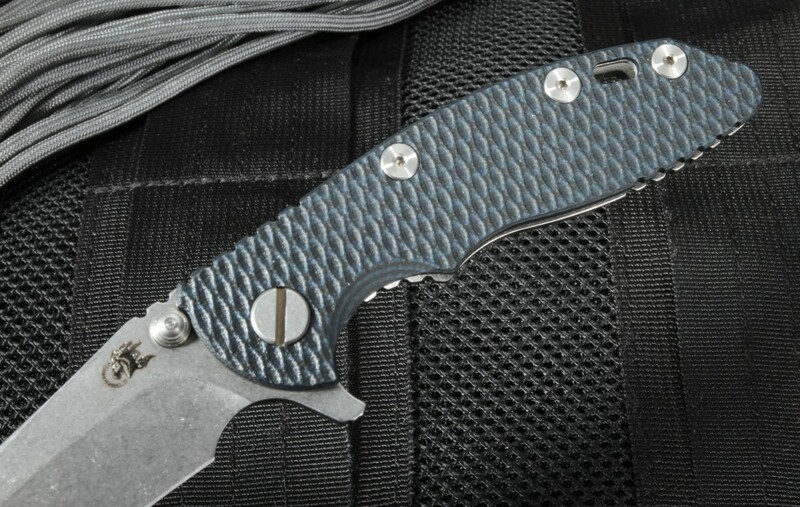 This Rick Hinderer XM-18 3" Recurve Flipper Model has textured Black and Blue G-10 handle scales and is a an ideal Every Day Carry Hinderer Knife. Compact and tough. The stainless steel CPM-S35VN steel blade has a stonewashed finish and hollow grinds. 60-61 HRC hardness means this blade can take what ever you need to cut and tackle that cut. The blade is a Hinderer Recurve Flipper. 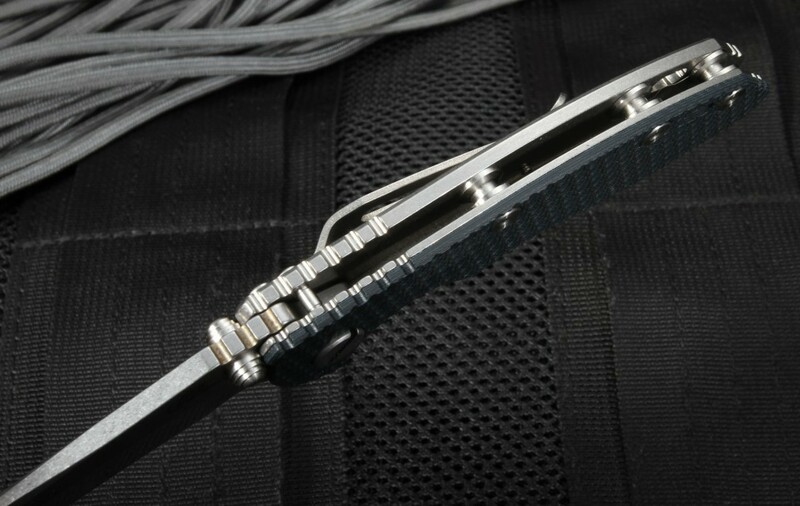 The recurve features dual titanium thumb studs as well as a flipper for easy right or left hand opening. The flipper also serves as an index finger guard in the open position. The thumb rest of the blade spine features jimping for a positive and secure grip while open. 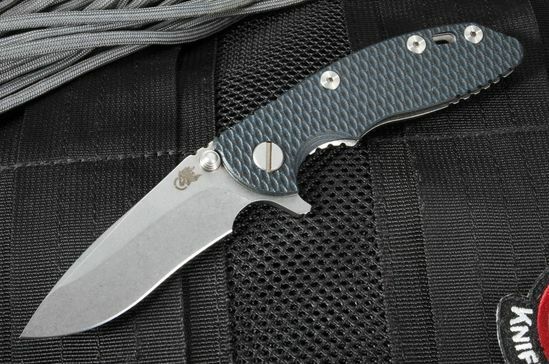 The handle of the XM-18 3" Recurve is constructed of solid stone washed titanium and textured Black and Blue G-10 handle scales. The knife features a frame lock design for a bank vault secure lock up when open. 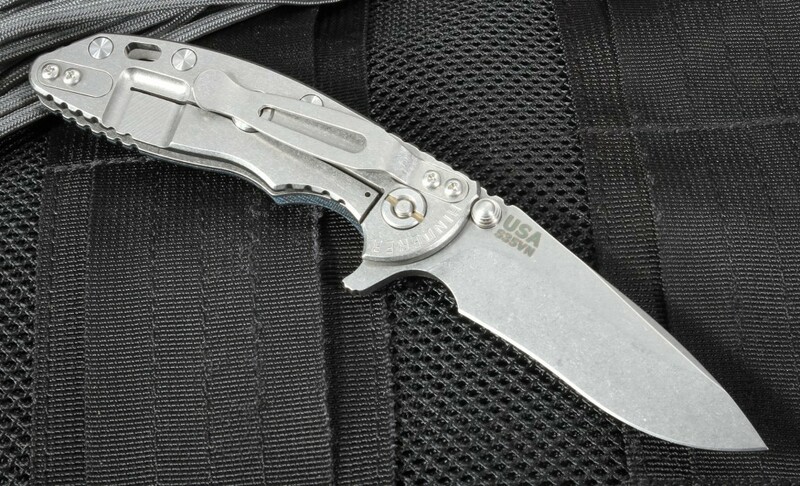 The frame lock has a Rick Hinderer designed lock bar stabilizer to prevent over extension of the frame lock. Lanyard hole located as the rear of the handle. 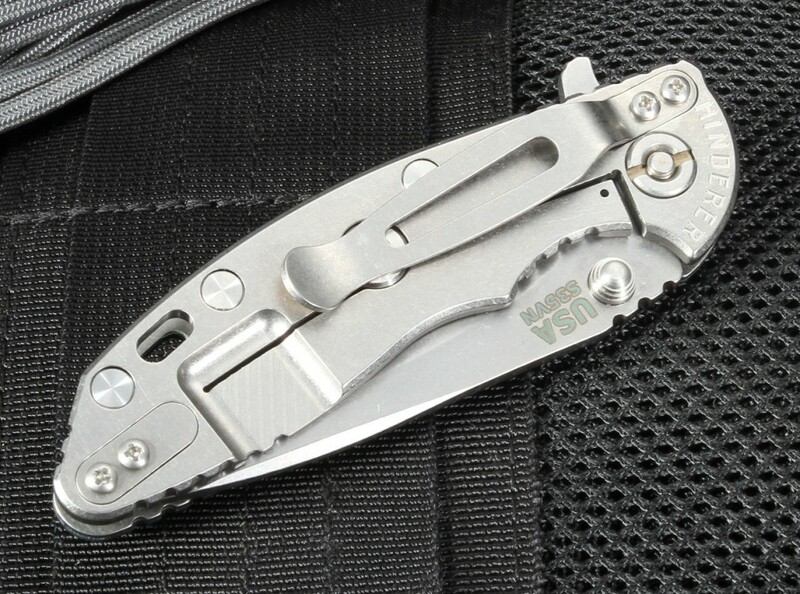 Stone washed titanium pocket clip can be mounted for tip up or down carry. KnifeArt.com is proud to offer the XM-18 3" recurve model as an authorized dealer. 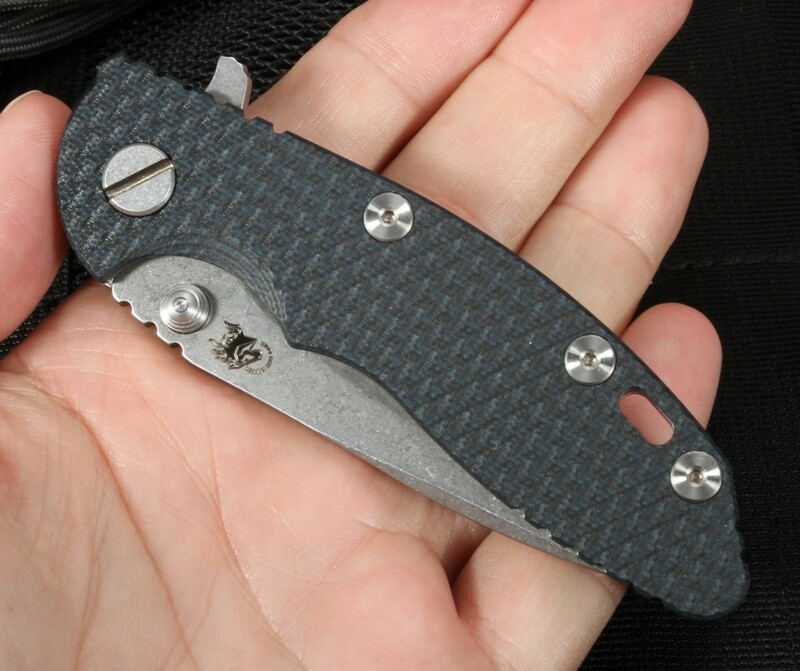 Hinderer knives and tools are proudly made in the U.S.A.
Amazing knife. Would definitely do business with again! Great shipping speed as well!